100 000 inventory items and 10 000 blog posts search is not a problem now! If you run a really large Magento store, you definitely know how difficult it is for your customers to find something they require very fast. Magento Advanced Search is a perfect solution for search through Magento-based stores. This extension uses an external search engine Sphinx. If you have 10000 products in your store, Advanced Search will help your customers to find those which are required. If you have 1000 posts in your blog, it's not a problem for Advanced Search as well. Magento Advanced Search uses Sphinx. Sphinx is an open source full text search server. This powerful search engine is used by different popular websites, such as Craigslist.org, mysql.com, joomla.org, tumblr.com, Dailymotion.com. etc. Just install Sphinx on your server, configure Advanced Search and enjoy. 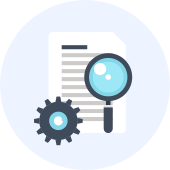 You won’t have to deal with complicated Sphinx configuration - Advanced Search will do everything for you. Magento Advanced Search extension configures Sphinx for you in accordance with your settings. Sphinx supports many different API's, PHP, Python, Java, etc. So you can easily integrate an external application to perform search over Sphinx indexes. With Sphinx installed on dedicated server, your search becomes even faster. 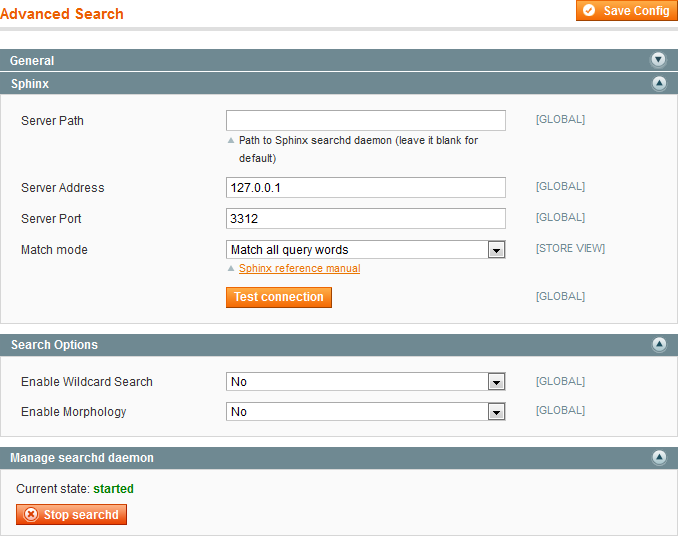 Sphinx has several different ways of matching the given search keywords, which can be set in the Match Mode field. It is possible to define whether the search results will match all query words, any of the query words, a phrase with perfect match, etc. Wildcard Search - lets your visitors find the required product by part of the word, e.g. they can find “sony” by “son”. Morphology processing - corrects all misspelled words according to Sphinx morphology dictionary. Different products are sold in different stores and they all need different attribute priority for search. If search by manufacturer is primary in your store, just define the higher weight for corresponding attribute. Search Autocomplete & Suggest provides customers with a dropdown of destination suggestions once they are past typing the third symbol in the search field, allowing to jump to the relevant product without going through the search results page. 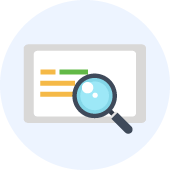 Advanced Search replaces standard Magento search and brings a power of external search engine to your store. Both these extensions can easily work together - when installed on the same website, Search Autocomplete & Suggest can use Magento Advanced Search as its search engine. Now with Layered Navigation by aheadWorks integration. 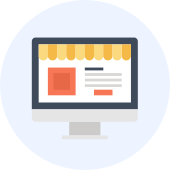 Using the Advanced Search extension together with the below Aheadworks products, online merchants get more valuable insights. 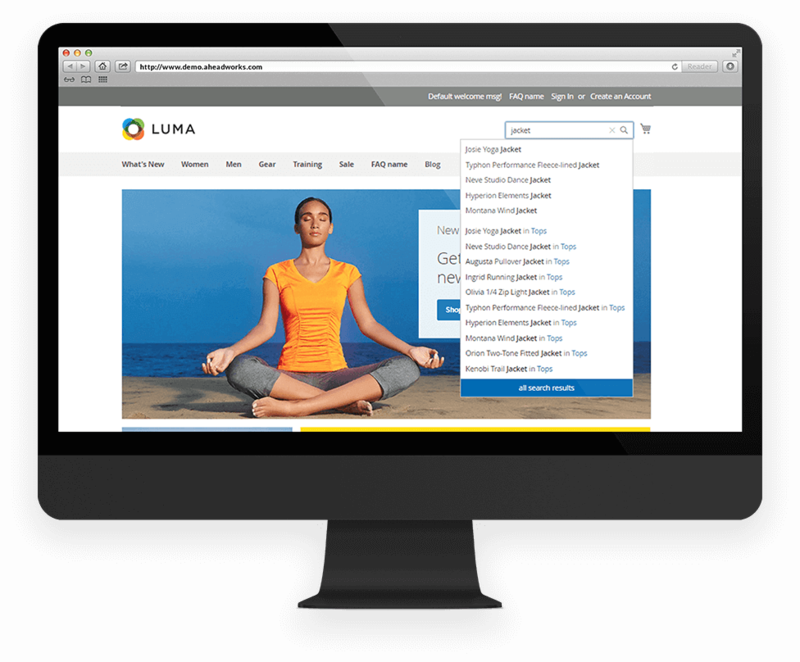 Demonstrate search suggestions and autocomplete results in an attractive and convenient way. Let visitors find information about your products within blog posts. Let visitors find product description in knowledge base articles. Simplify the search process - apply fully customizable layered navigation in search results. Advanced search has been such a valuable tool the last few weeks for my Magento store. All search queries were turning up empty results before, but now they are much more relevant. This has most certainly increased conversion rate in a huge way. We have tens of thousands of products and needed the best search feature possible. I believe we have found that, with this extension. Great job Aheadworks! The full-featured search engine for Magento!!! This module is of the same type you can see on a majority of retailer websites. I appreciate that the extension has got many options to configure it. I was looking for a search extension based on Sphinx, for Magento Community edition, by luck I found this solution. I brought it and it works perfectly. I must say far better than the native search from Magento. Even if you need to tweak things, you can do it. I like its new feature of Wildcard Search as it’s very popular with my customers. We recently installed this extension due to the miserable internal Magento search function and it works great. Together with Search Autocomplete the search has become really fast! There are no lower and, what’s more, upper limits for searching items. Whether you have 1K or 10K items in your store the search will be same fast. Last but least, it makes the search appealing for visitors through fully customizable pop-ups. Once you get this installed and working right your search results will be much more useful. Had to have my host (magemojo) install the sphinx engine (took them two minutes to get done), Installed the extension myself and then had AheadWorks set the engine up for me. Took a little bit of tweaking to get the search rules exactly right, but Aheadworks never stopped working with us until we were happy with the results. Great extension, great support. If you need to improve your search results this is a great extension to get. The ability to search CMS contents was a god-sent option for us, as we have quite a number of static pages at the store. One feature that would be nice to have, though, is the ability to show Categories in search results. A great module, installs fine. Support is good. However, this extension needs some improvement: it will fail to find items if the user was not careful using spaces. EG. if something is called "Brand Name", searching on "brandname" (oneword) will not find it. (Our previous webshop has no issue with it, nor our competitors' stores). Support said they plan to implement it in the future. Unfortunately any Magento Search Extensions i've tried so far failed this test. So i'll stick with it and wait for the next upgrade. Anyone who has worked with magento for any amount of time can vouch that Magento is TERRIBLE for their search function. I just sat in a eCommerce user group, and the speaker showed the change of ecommerce shoppers from browsing categories to just performing a search. If your search doesn't bring back useful results, you most certainly will lose a sale. Being based on sphinx I was able to use their guides and the help of aheadworks to configure exactly what I needed and now I return 8 results for a two word search rather than 2000. We used the advanced search module at: http://www.forcom.be the search results are much better than with the standard Magento search function. We had to do some tweaking with the Aheadworks team to get the results our client wanted. We have noticed very much relevance on results using this extension. I recommend you all. We are using this extension on one of our client sites with 6k+ products and the search results have been a lot more relevant compared to the default Magento search. We did have some initial problems with this extension because we use the flat category and product catalog setting. 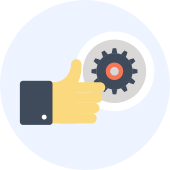 The couple of bugs we found were successfully fixed by the AW team and communication during the support process was fast and effective. It would be nice to have some more information about how exactly this extension interacts with the Sphinx software as well as confirmation that the search extension can be used for multiple websites/stores running on the same Magento install - which it does, but we had to ask. Also, not all Sphinx installations configure the Sphinx default port to the value specified in the installation instructions so you need someone who knows what they're doing on the server side to set the extension requirements up, otherwise it may not work straight away. However, with the correct awareness and by following the installation steps, this extension can be set up and running within half an hour. Of course, you may need to do some additional CSS to adapt the look and feel. We like the fact that the extension is simple to configure and it handles singular vs. plural searches very well. Ie. you get similar results when you search for toaster or toasters. You can aslo set it to use boolean expressions to combine search keywords but your customers would need to be aware of the correct syntax. The only thing it lacks is the "soundex" feature where it would suggest correct spelling but that's not supported by Sphinx itself. If you want more sophisticated options, you would need to look elsewhere (and spend more) but if you want to improve the native Magento search quickly and without much hassle, provided you can add Sphinx to your server, this is a well priced and quick solution. Furthermore, Magento should always be hosted on a dedicated server. We purchased this and realized afterwards that it requires having Sphinx installed onto your server. If you have a dedicated server then this is no problem, but if you are on a Shared Host, then you had better contact them first before purchasing because it looks like many Shared Hosts don't support Sphinx. Will it also search through the knowledge base as well as products and blog? Now that would be GREAT! Advanced Search is the solution making your search box the shortest way to target products and pages relevant to any customer and his demand. Spelling corrections provided by the ‘Did you mean’ search functionality. 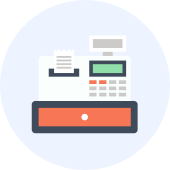 Benefit from the provided advanced index management. Searchable attributes are arranged by weights. New synonym groups can be easily created from the search terms results page. As soon as Elasticsearch becomes unavailable, the store will switch to native MySQL and continue its work. The Advanced Search extension for Magento 2 by Aheadworks makes the idea of really fast and convenient on-site search possible. The combination of the Elasticsearch engine, autocomplete suggestions, typo corrections, and improved native Magento synonyms make the extension a powerful solution that suits businesses of any size in any domain. As soon as a customer starts typing in the search box, he immediately receives relevant autosuggestions. 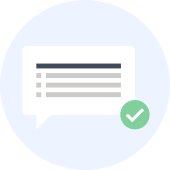 The provided results can be further refined taking customers to products, CMS pages, blogs, and FAQs with no delays thanks to Elasticsearch. The implemented usability features allow a significant improvement in the user experience, which makes the whole process convenient and straightforward. How does the Magento 2 Advanced Search extension beat the competition? Great product if you are looking for something to replace native Magento search module. Easy to setup and works just fine with other extensions. Does it work with Elasticsearch 6.2? Sure, Advanced Search is compatible with Elasticsearch 6.x and works fine with the 5th branch as well.